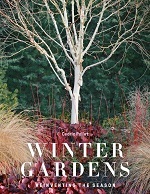 At the Garden Media Guild Awards, Winter Gardens: Reinventing the Season by Cedric Pollet (Frances Lincoln) won Garden Book of the Year. The judges described it as "a beautifully presented and inspiring visual depiction of how to make sense of a time of the year often overlooked by books and left behind by gardeners". 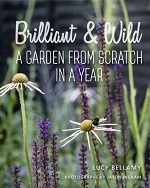 Practical Gardening Book of the Year was Brilliant & Wild: A Garden from Scratch in a Year by Lucy Bellamy (Pimpernel Press). The judges said: "This is an exciting and original book that that will inspire new gardeners to action." European Garden Book of the Year went to another Pimpernel title, Topiary, Knots and Parterres by Caroline Foley.